Blue label, vintage wine, 90% Sangiovese 10% cabernet sauvignon aged in barrels for one year. 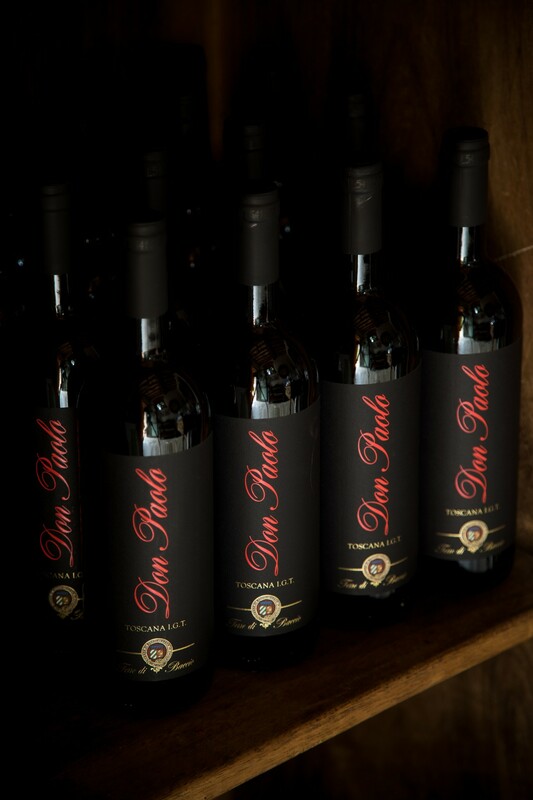 Red label, 90% Sangiovese 10% cabernet sauvignon aged in barrels for two years. The first Italian Denomination, yellow label, white wine. 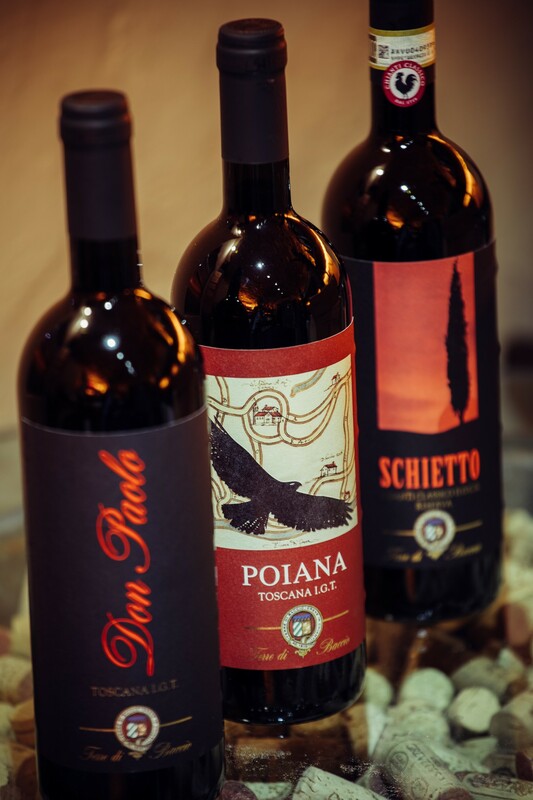 This wine combines the Tuscan grape par excellence, the Sangiovese, with two international vines, Cabernet and Merlot, all grown locally on the farm. This wine is aged for 13/14 months in wooden barrels (barriques) and then for another 4 months in the bottle. The color, aroma, palate and its persistence make it a wine for “great occasions”. The poiana (common buzzard) is a medium size bird of pray of the Buteo-Buteo species, quite common in Italy. 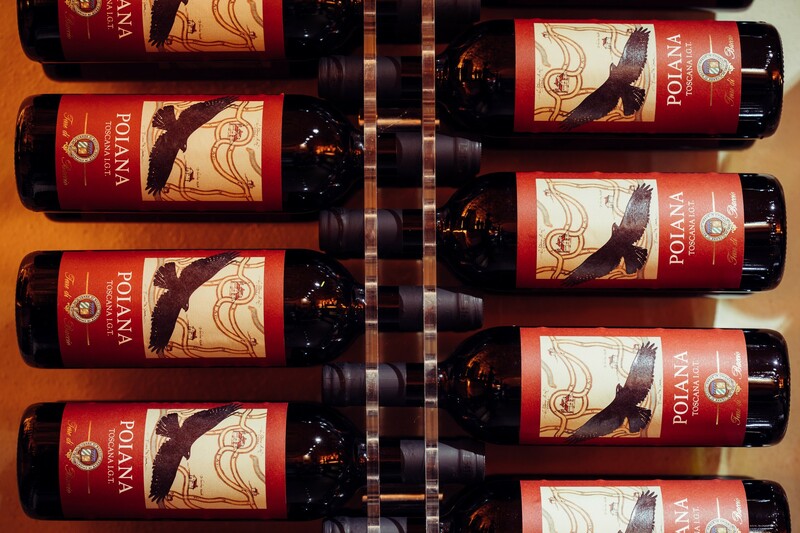 A pair of Poiane regularly nest in the woods of the Terre di Baccio and can often be seen soaring over the vineyards. 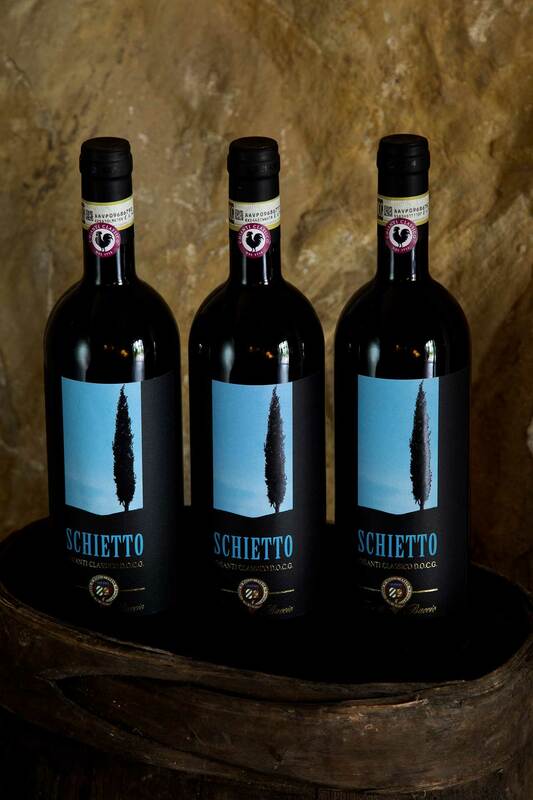 Produced by the single-variety of merlot grapes, it is aged in wooden barrels (barriques) for 20 months followed by a refinement aging in the bottle. Selected by our company and produced in Trentino from Chardonnay grapes, with the “Metodo Classico” (official Italian term for the Champagne method of producing sparkling wines). 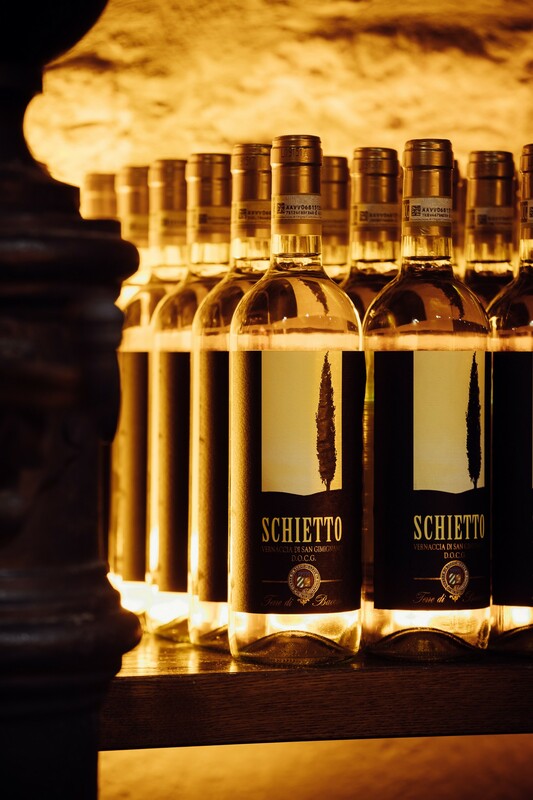 Grappa is distilled in the typical copper stills from the grape marc of the Chianti Classico wine grapes. The bottle ageing period of at least three months gives this product its softness. 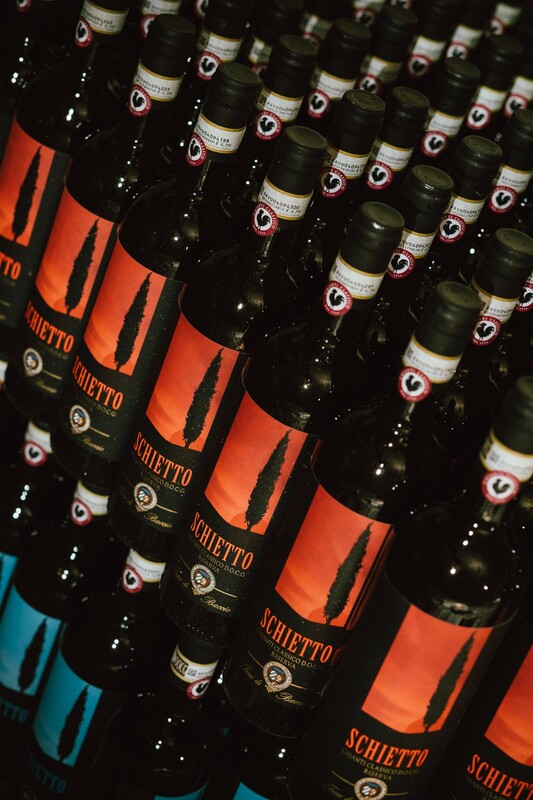 Produced in a limited number of bottles using the traditional Tuscan method. 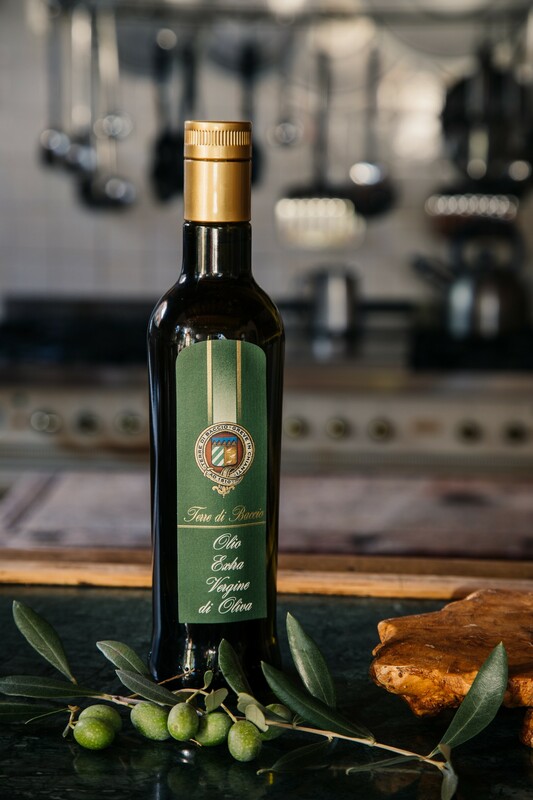 This olive oil, which contains extraordinary organoleptic and beneficial qualities, is obtained by pressing the handpicked olives of the typical Chianti varieties: mainly “frantoio”, “moraiolo” and “leccino”. 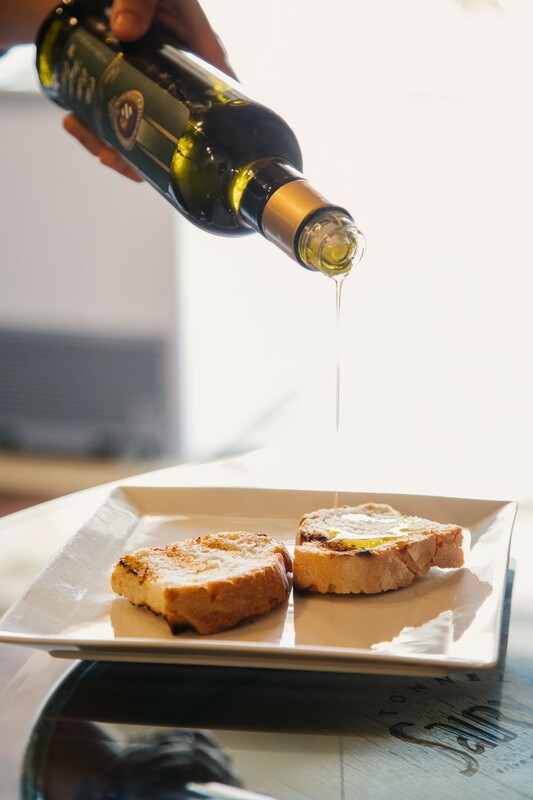 It is preferable to taste it “raw” either dribbled on the typical slice of toasted bread (fettunta), or by dipping raw vegetables in it (fennel, celery, artichokes etc. ), or seasoning field salads and drizzling it over traditional peasant soups: ribollita and pappa al pomodoro. 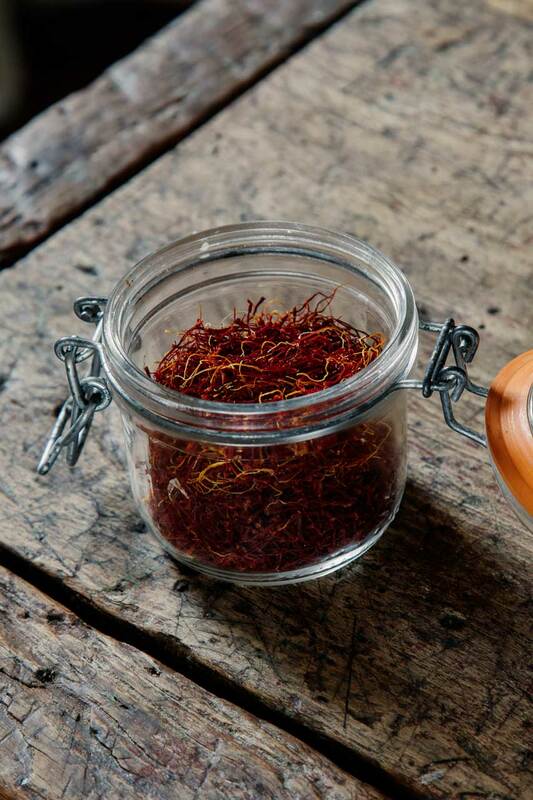 The cultivation of saffron on our hills once flourished during the late Middle Ages. 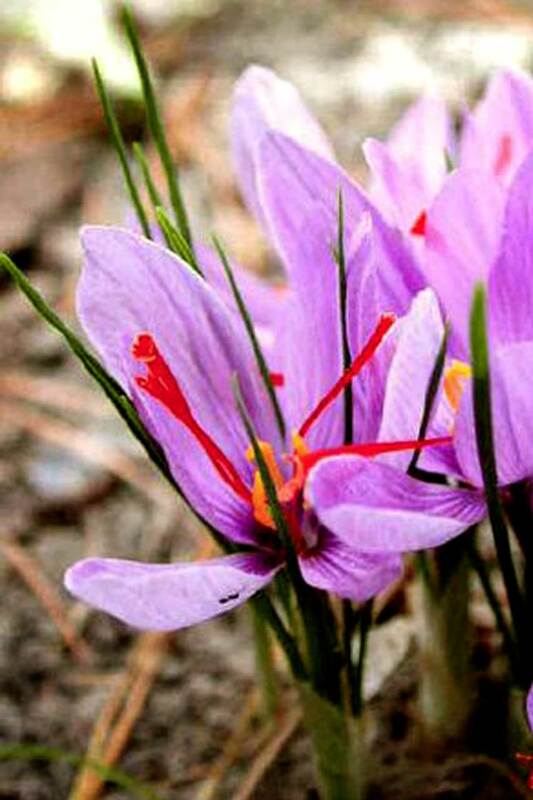 The flowers are handpicked early in the morning, on dry days, from the second half of October throughout November. Then begins the most delicate stage of extracting the stigmas and their subsequent light toasting, to maintain the extraordinary characteristics of perfume and color. Great for seasoning all kinds of pasta and classic risottos, omelets and also for cakes, biscuits or to be added into ice cream for extraordinary and original recipes.